If you have an Amazon smart home device in your house, you know how useful it can be. From voice shopping to Prime Music, Alexa makes the everyday things simple. 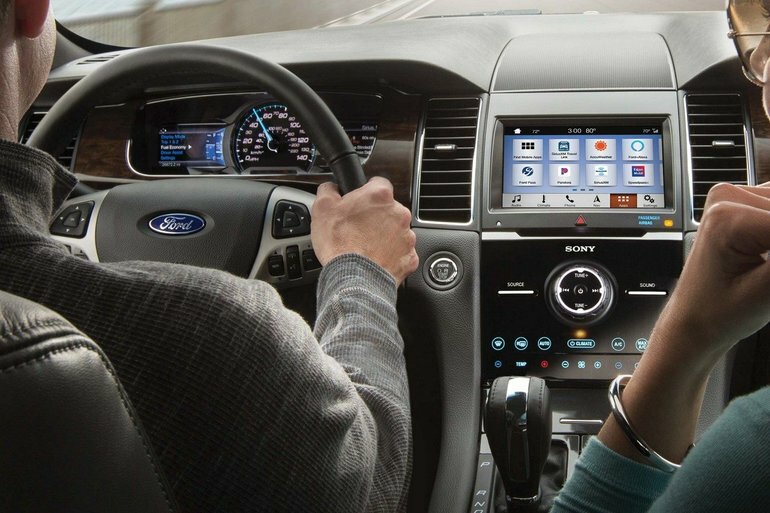 Ford is excited to welcome Alexa to its vehicles equipped with Ford Sync 3 AppLink. Your Winter Haven area Ford dealership, Bartow Ford, helps you understand how to integrate Alexa with your vehicle. If your car has Sync 3 capabilities, you can now use Alexa to play music, check the news and weather, and add items to shopping lists. Halfway home when you suddenly remember you need milk? Simply tap the voice recognition button on your steering wheel and say, “Alexa.” She’ll be able to add it to your list before you get home and forget. Alexa can be used to find nearby restaurants, listen to audiobooks, and access any Alexa smart home devices you may have at home. If you use any Alexa products at home, including the Amazon Echo, Echo Dot, or Amazon Tap, you can use it to access your car. Start or top the engine, lock and unlock doors, check range and charge status, get an update on the fuel level, and even get a mileage summary. Simply say, “Alexa, ask MyFord Mobile to…” and fill in the blank! Before you dive into Amazon Alexa, you might have some questions! Take a look at these frequently asked questions. Do I need Amazon Prime to use Alexa? Nope! While having a Prime account does enable additional features — like the ability to make a purchase on the go — it’s not required. Can I use Alexa while I’m using Apple CarPlay or Android Auto? Unfortunately, no. Alexa works through Sync AppLink, which cannot run at the same time as Apple CarPlay and Android Auto. How does Alexa work with my navigation system? When you ask Alexa where the nearest Mexican restaurant is, the address will automatically populate on the Sync 3 navigation screen. Alexa is a great feature that Ford is proud to offer. 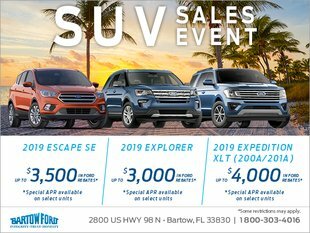 If you’re in the market for a new car that includes this capability, check out your Winter Haven area Ford dealership, Bartow Ford. We can make sure that you get the perfect car for you! Chat with us online, or call us at 800-303-4016.